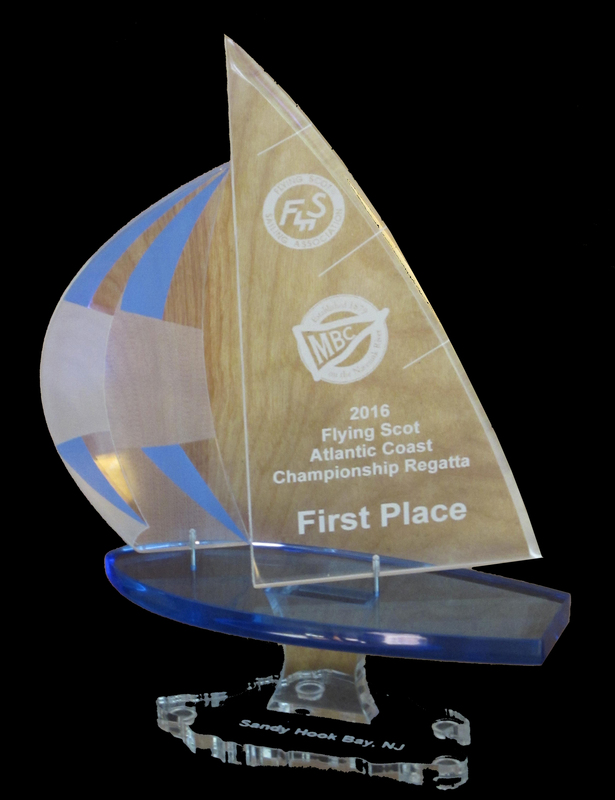 The Monmouth Boat Club hosted the 2016 Flying Scot Atlantic Coast Championships and Greater New York District Championships on Sept 16-18th and provided a great event for all involved. 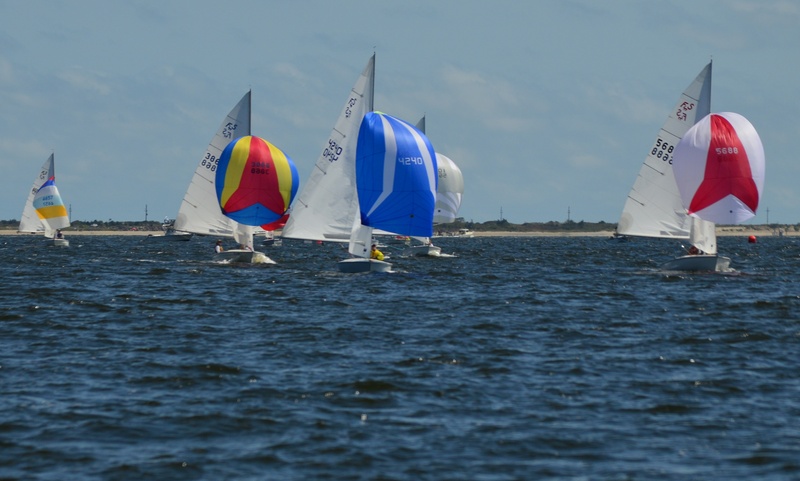 The regatta was held in Sandy Hook Bay, NJ which provided for mile long legs. Sailing conditions were perfect with sun and winds of 15 to 20 knots on the first day and 8 to 15 on the second day. Twenty two boats hit the line from Annapolis and Pennsylvania to Connecticut. The top sailors factored in the shifts, current, and tactics to achieve success. MBC hospitality was in full swing. A Friday pizza party kicked off the weekend. After a full day of racing, the sailors were treated with beer and water delivered to the boats. A special Italian dinner was held in the Monmouth Boat Club with musical entertainment. The finale was the awards party on Sunday afternoon held in the Atlantic Highlands Yacht Club overlooking Sandy Hook Bay and the New York skyline. For the ACC, David Neff with crew Jason Hair took 1st place and the title of Atlantic Coast Champions. In 2nd place were Dan Vought and his crew David Watts. 3rd place went to Peter Sayia and his crew Russ Lines and Jackie Wilhelm. 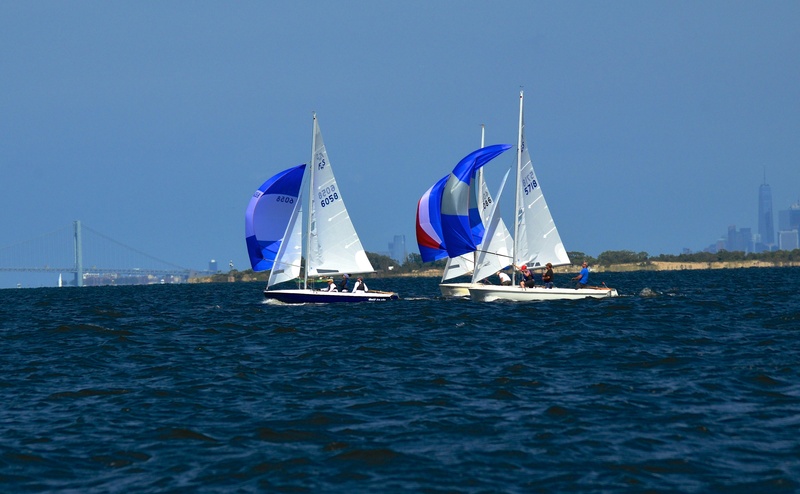 For the GNY, Dan Vought finished in 1st place, with Peter Sayia coming in 2nd and Larry Nociolo coming in 3rd sailing with Eileen Nociolo and Dave Whittle. The Jack Orr trophy for most wins in the Greater New York Districts went to Brian Hayes and his crew Brian Hayes Jr. The ACC Perpetual trophy went to Dave Neff and the GNY Perpetual Trophy went to Dan Vought. Congratulations to the winners and all of the competitors for participating in a classic weekend regatta. Lots of photos from Saturday by Art Petrosemolo are here.